Grains and pulses make a classic combination, one found all over the world, from rice and beans in Latin America to millet and peanut sauce in West Africa. No doubt these various pairings have evolved over the millennia due to their satisfyingly savoury flavours, their high nutritional value (the combination can cover all amino acid bases, in place of meat) and their ability to fill up the whole family at a low price. 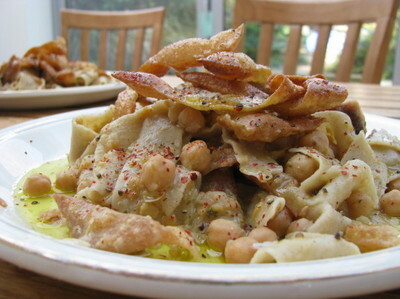 The traditional Puglian fare of ciceri e tria is one of these dishes – a wholesome mix of earthy chickpeas and wholemeal pasta strips. ‘Ciceri’ are an old Puglian variety of chickpea, slightly and smaller and tastier than the regular ones. 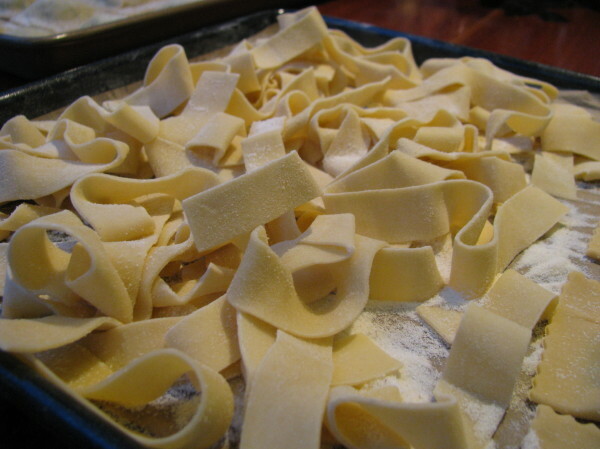 ‘Tria’ is an old word for pasta, coming from the Arabic word ‘ittriya’. Comparable dishes are found all over Italy, such as the pasta e fagioli from Emilia in the north. 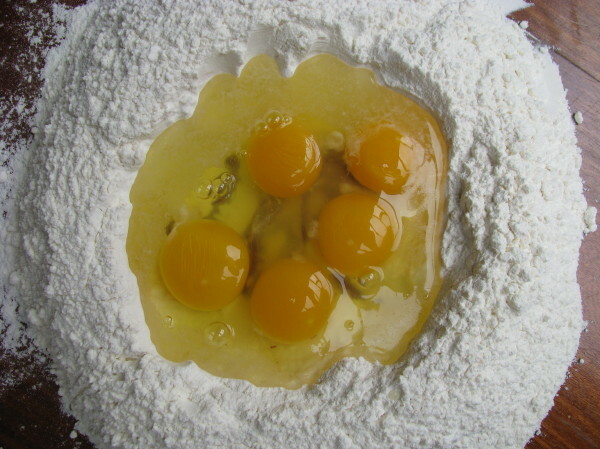 But ciceri e tria, also known as cece e ttria, cicerittria or similar, is particularly intriguing due to its mysterious ancient origins, which link in to the whole debate over the origins of pasta itself. One clue might lie in the fact that some of the pasta, unusually, is fried, while the rest is boiled. 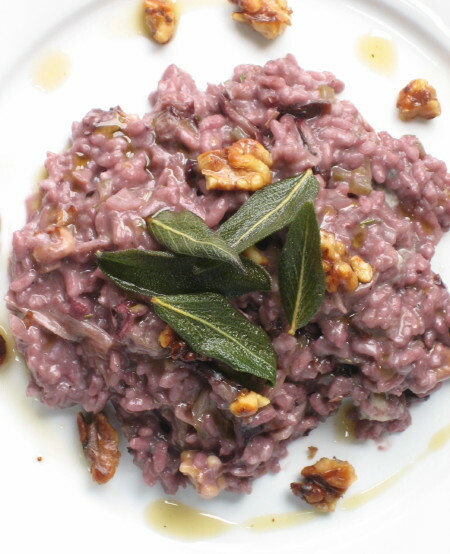 Risotto made with red wine and/or radicchio is a classic Italian dish. This version is an attempt to recreate the one I had at La Badia restaurant outside Orvieto, Umbria, with my friends Libby and Tim the week before their wedding. It is rich, savoury and melts in the mouth. 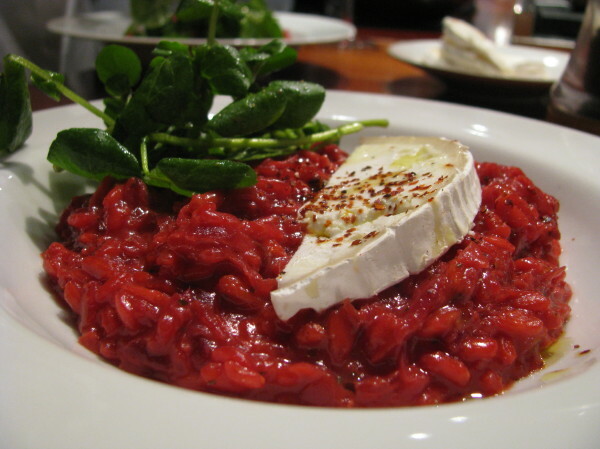 Go easy on the cheese and herbs – it’s always tempting to be generous but they can overpower the dish.